We welcome State Farm, Texas Instruments, and Qorvo employees. We proudly accept your insurance. 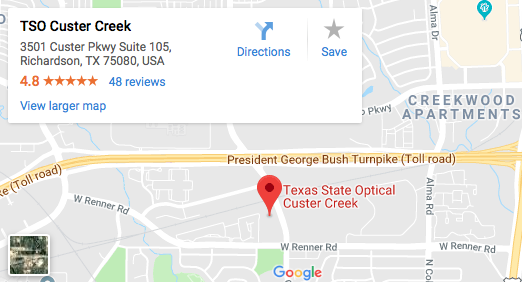 Please walk-in to TSO Custer Creek with red eyes, pink eye, or scratched eyes for immediate attention in Richardson, TX. 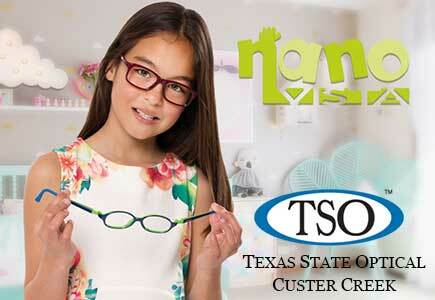 TSO Custer Creek provides total eye care for the whole family. 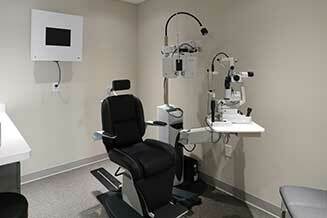 We use cutting edge technology to ensure your healthy vision. 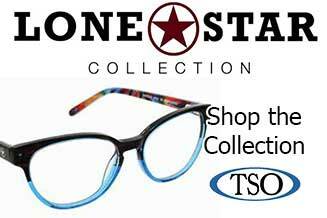 At TSO Custer Creek, Dr. Valenta Carter believes in looking at the big picture when it comes to your eye care, so we take the time to get to know you, your eye care history and your vision needs. 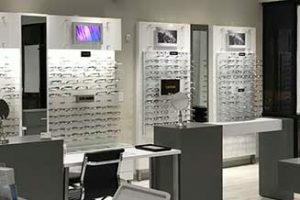 Our Richardson Eye Doctor knows that getting the right prescription involves balancing several factors, including clear eyesight, visual efficiency and your ability to process visual information. 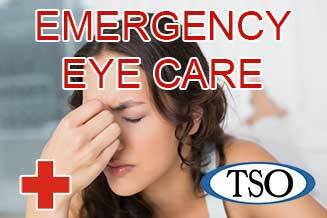 Whether you need a routine eye examination, eyeglasses fitting or treatment for eye disease (such as glaucoma or macular degeneration) or eye surgery (such as LASIK or cataract surgery), our Richardson optometrist will provide you with the best care, advice, options and follow up. Schedule an appointment with your Richardson Eye Doctor to see how we can help you get the most accurate prescription for your eyes.